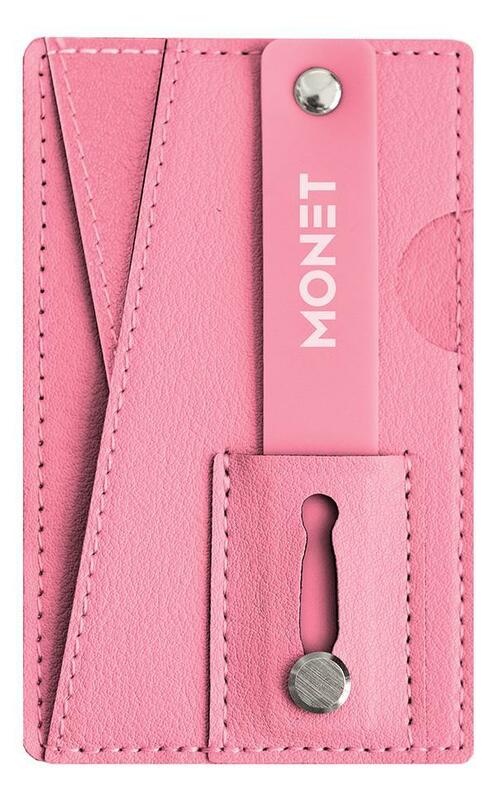 The Monet is more than one accessory. It’s actually three built into a single product. 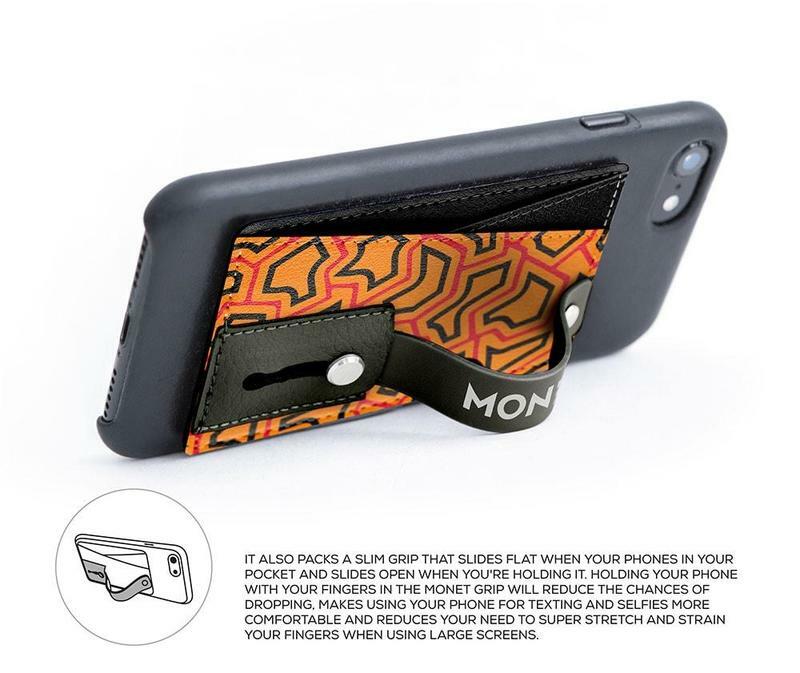 By using it with your phone, you have a wallet, a grip, and a kickstand. If this accessory seems familiar, you may have seen it used by Ryan McKenna. The name may not ring a bell but chances are you saw him during the Super Bowl back in February. When Justin Timberlake went into the crowd for his halftime show, McKenna snapped a selfie with the singer that instantly went viral. Ellen DeGeneres invited him on her talk show, and then he was reunited with Timberlake and took another selfie using the Monet. The team behind the Monet calls McKenna their brand ambassador. With the moment watched live by more than 100 million viewers around the world, we think that’s a good hire. Anyway, back to the Monet and what it means for you. 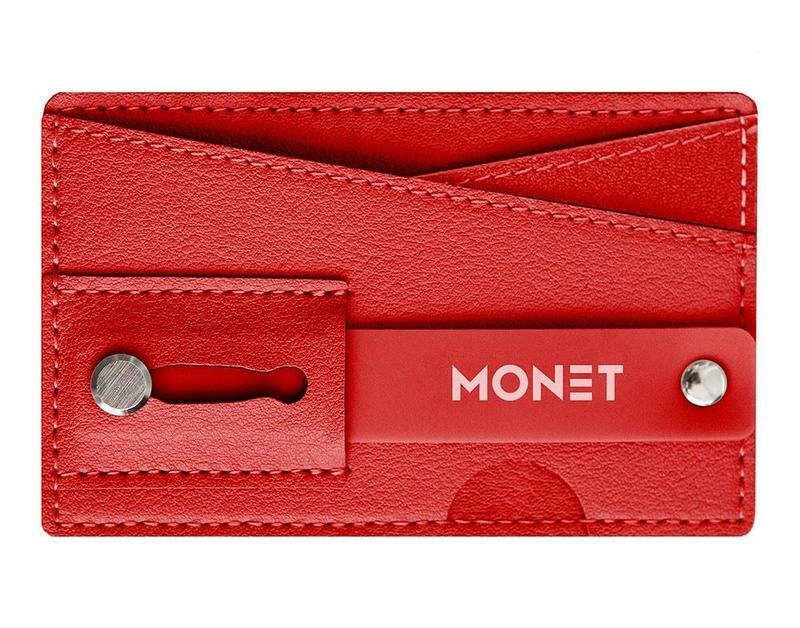 The Monet can fully replace your wallet case, and that’s while adding additional benefits. It’s fashionable, too. 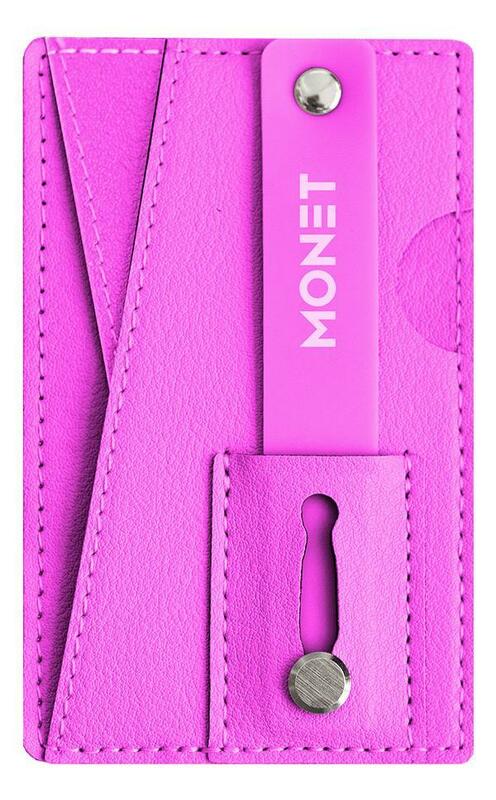 Quest Basics, who makes the Monet, also offers this accessory in a vast range of colors and styles. So it’s a fantastic cross-section of function and style that’s often the target for but rarely achieved. Here’s why I think you should consider picking one up. The quality of the materials and its assembly don’t come across as cheap. 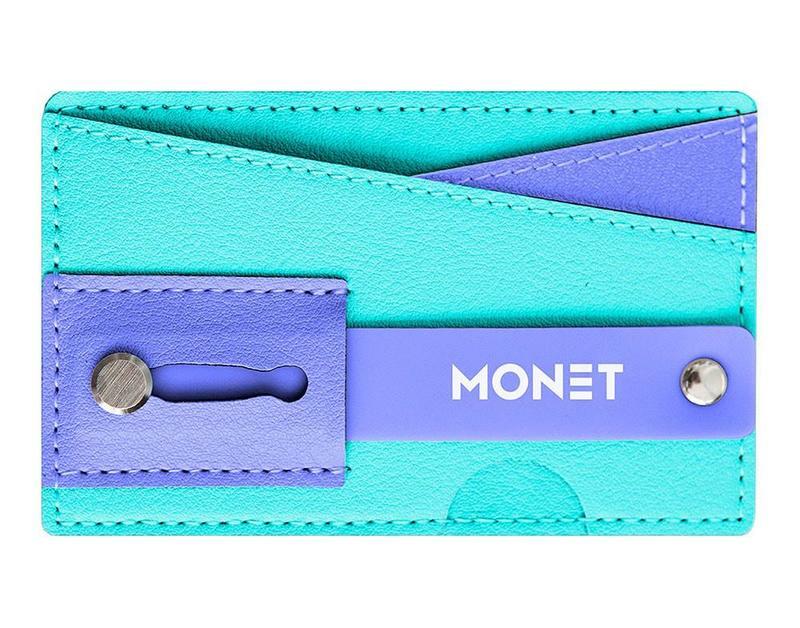 Even though the Monet is just $20, Quest Basics made a premium-feeling accessory. 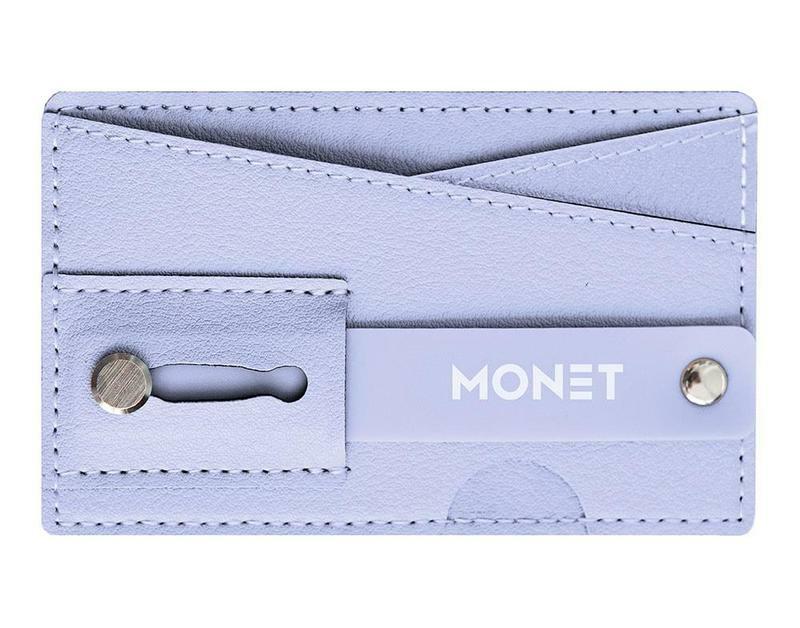 The Monet’s stitching is well-done, and the rear adhesive grabs onto your phone tightly. At no point did I feel like my Pixel 2 XL was going to drop from the Monet or my cards would get loose and unknowingly fall out. 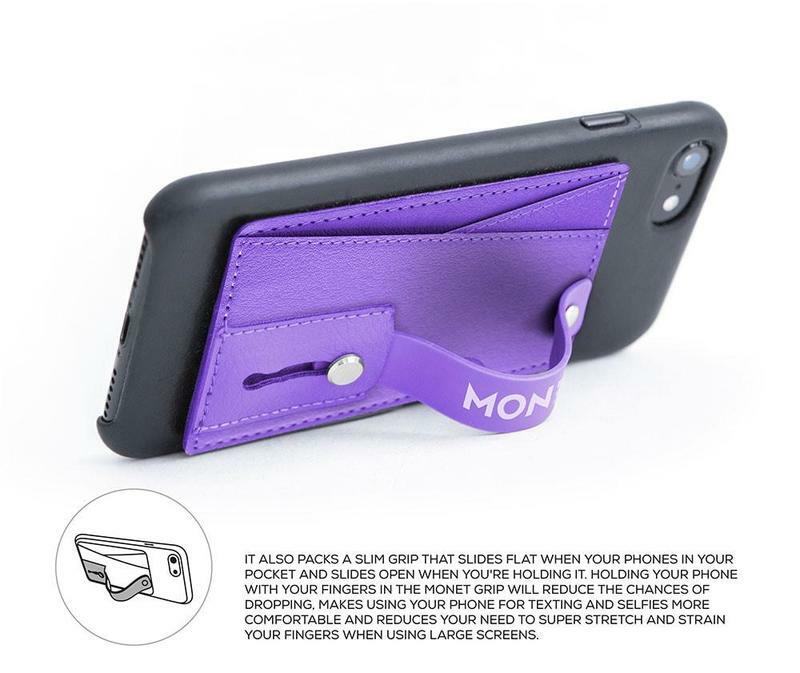 The adhesive latches onto the surface of your phone’s back or its case. When removing the Monet, be sure to have some Goo Gone (or any other adhesive remover) on-hand. Taking off the Monet is easy, but it leaves a light, sticky residue that you’ll want to get rid of. 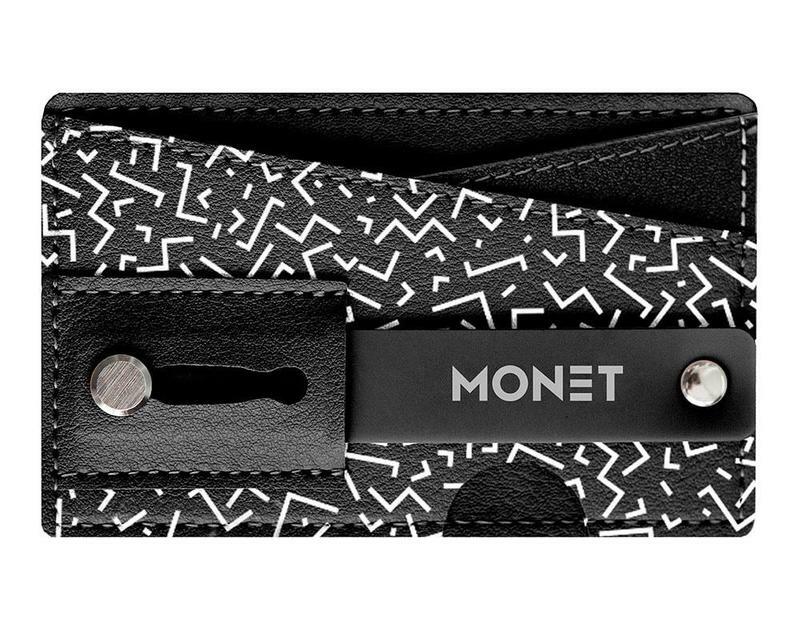 From a functional standpoint, the Monet is simply useful. The premise of the product is obvious. 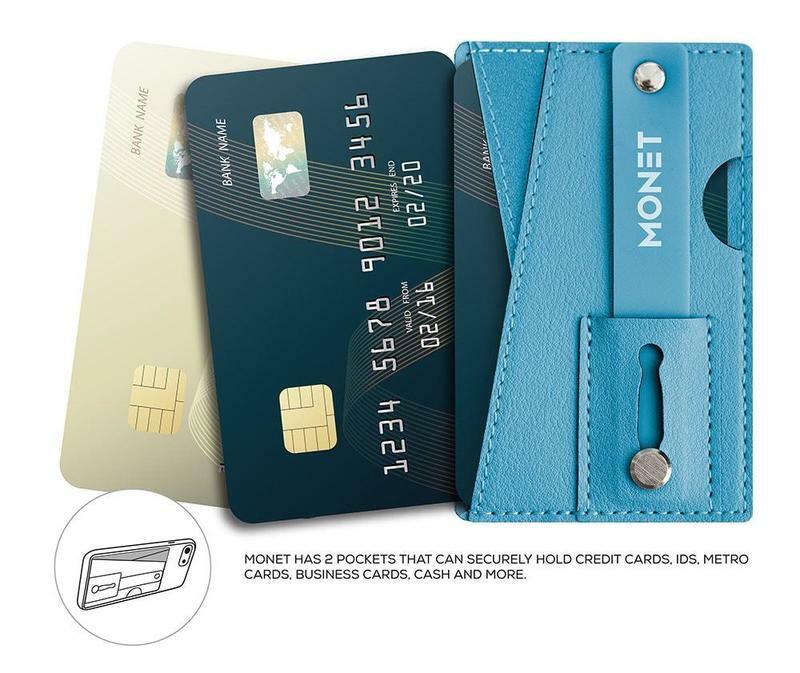 It’s an accessory that stores your cash and cards but also acts as a grip and a kickstand. Everything it does is always available, meaning you have portability to work with. 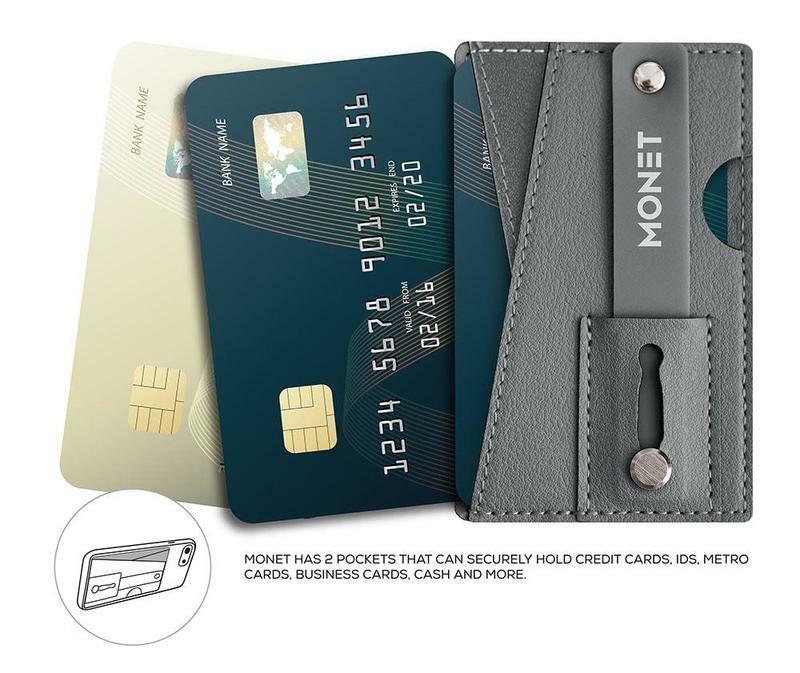 Two pockets are built-in; however, you’re able to fit more than one card and more than a few dollar bills into each. Just don’t go stuffing them with everything from your insurance card to a GameStop membership. 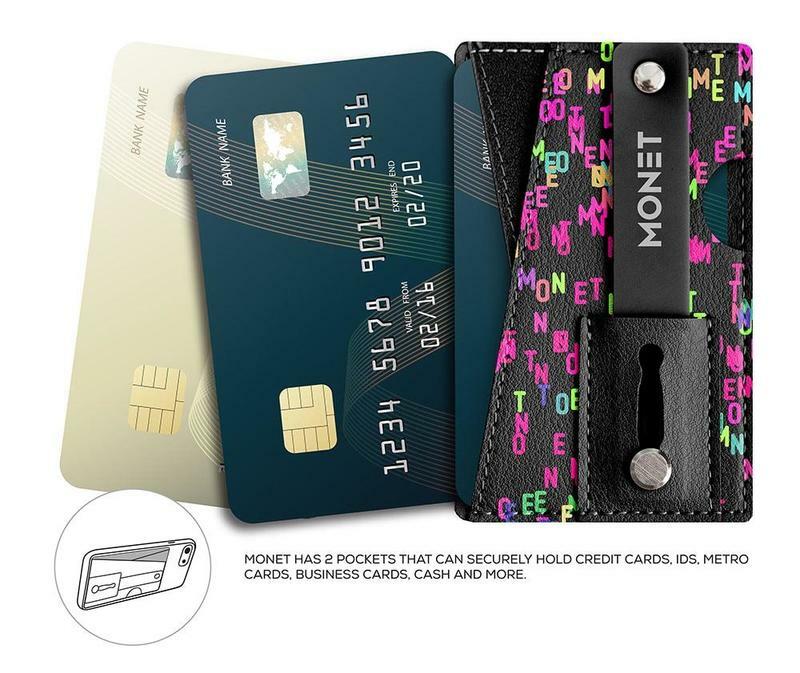 Carry the essentials in the Monet, like your credit card and ID as well as some cash. When you’re wanting to take something out, push from the open cutout on the other side. Your items will pop up smoothly. The kickstand doubles as a loop for the grip, so let’s talk about that first. In theory, it’s wonderful. I’m not a fan of actually using it, though. The silicone-based loop needs to be manually set which is annoying because you don’t want an extra step just to secure your phone in your hand. Attachable rings, meanwhile, require a brief flick to launch. The Monet’s sliding mechanism makes the loop hidden, but maybe a more relaxed rubber could be used. In turn, the Monet is an excellent kickstand. 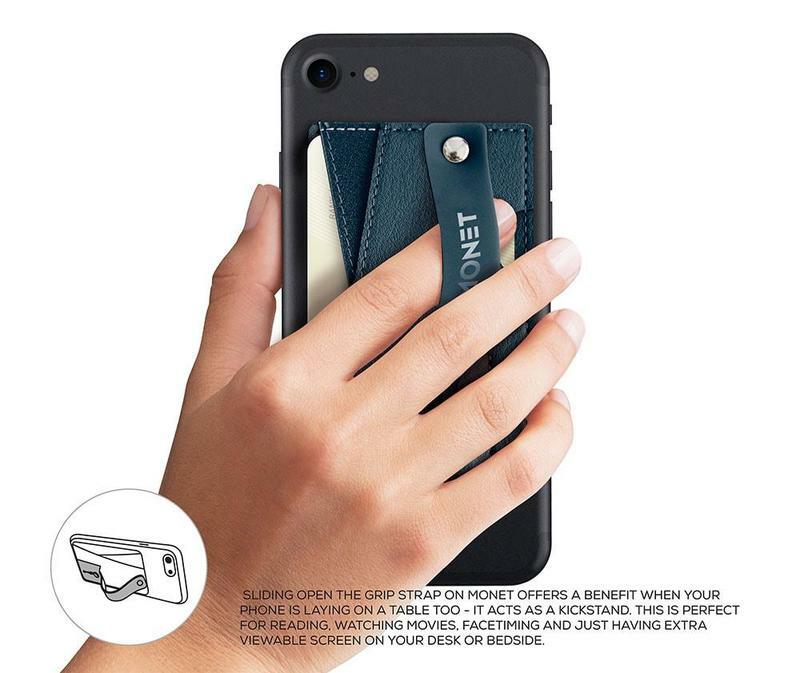 The strength of the rubber loop means, as a kickstand, your phone is positioned without any wobble whether in portrait or landscape mode. 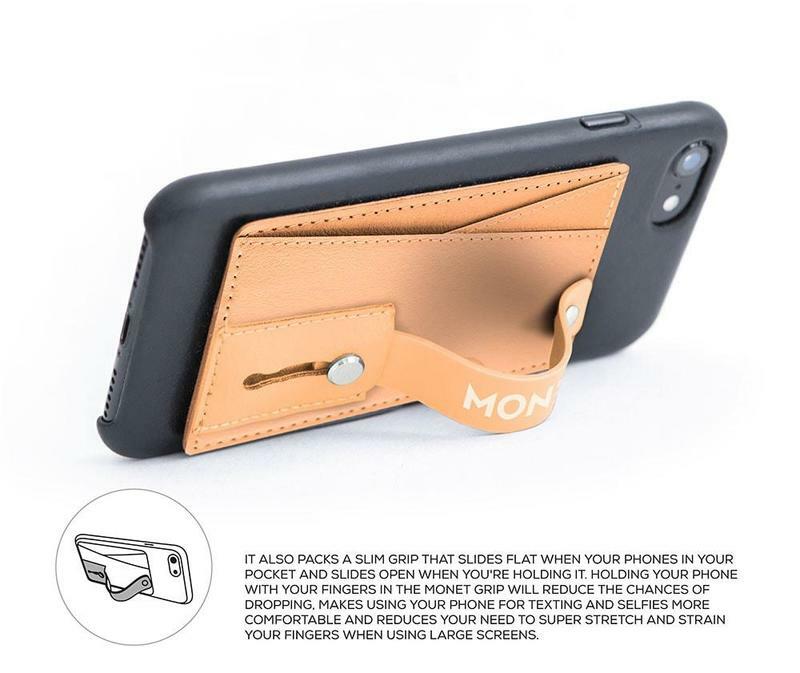 So you can use the Monet with your phone to watch videos and having a decent viewing experience. 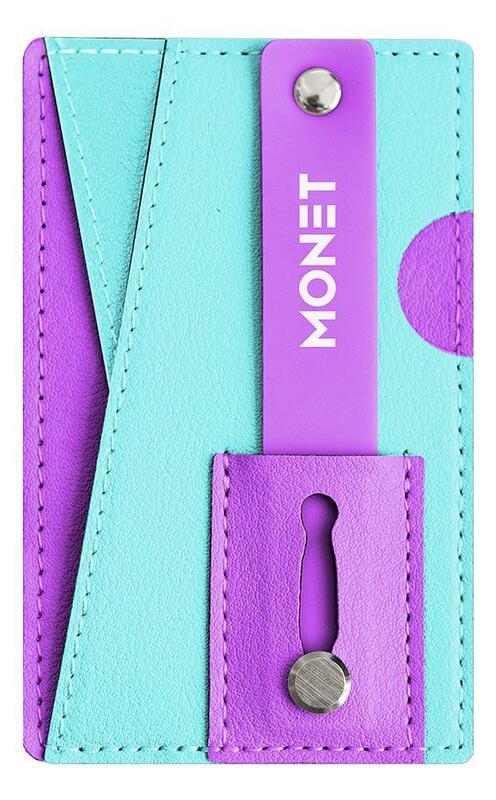 We should also appreciate the colors and styles you can choose for your Monet. Across five styles, Quest Basics offers the Monet in thirty colors. Your options range from solid to multi-color to pattern to neon to pastel. 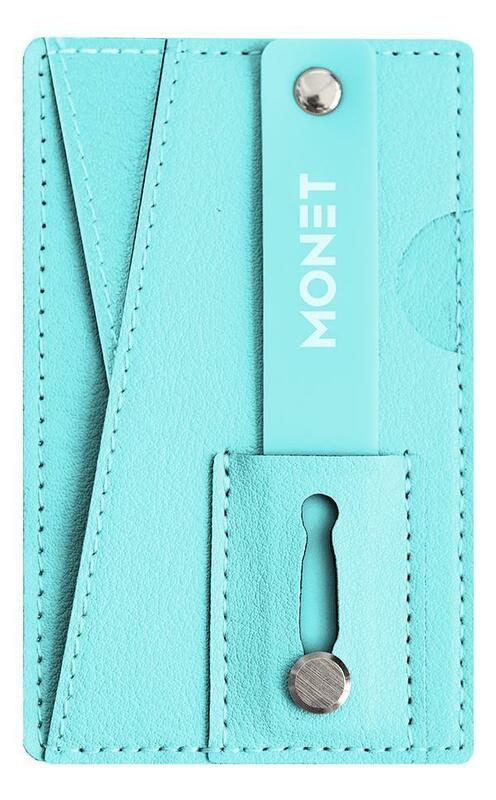 No matter your phone’s shade, you’ll find a Monet that pairs nicely. 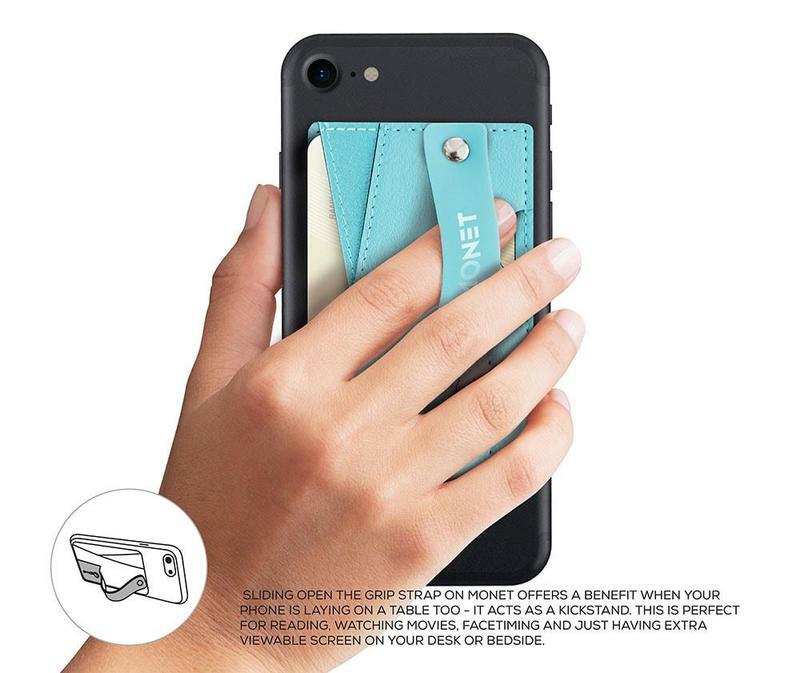 As I’ve mentioned before when looking at cases, keeping my phone thin and light is very important. You’ll never see me walking around with a phone that has a bulky case. I don’t drop my stuff often (if at all), and I want to be able to appreciate the design of whatever I have. 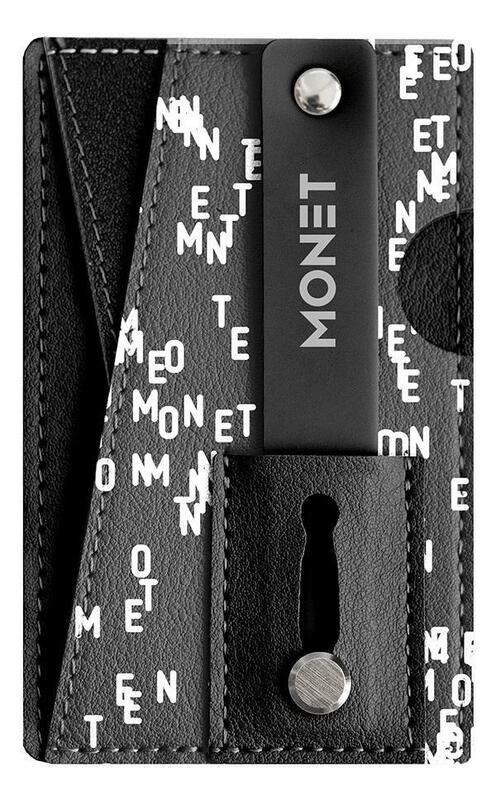 The Monet still lets me accomplish that because it sticks onto the back of my phone rather than wraps around the whole body. Everyone is trying to carry around less stuff. While out and about with friends, you don’t want to carry around an overfilled wallet or purse and rummage through for necessities. 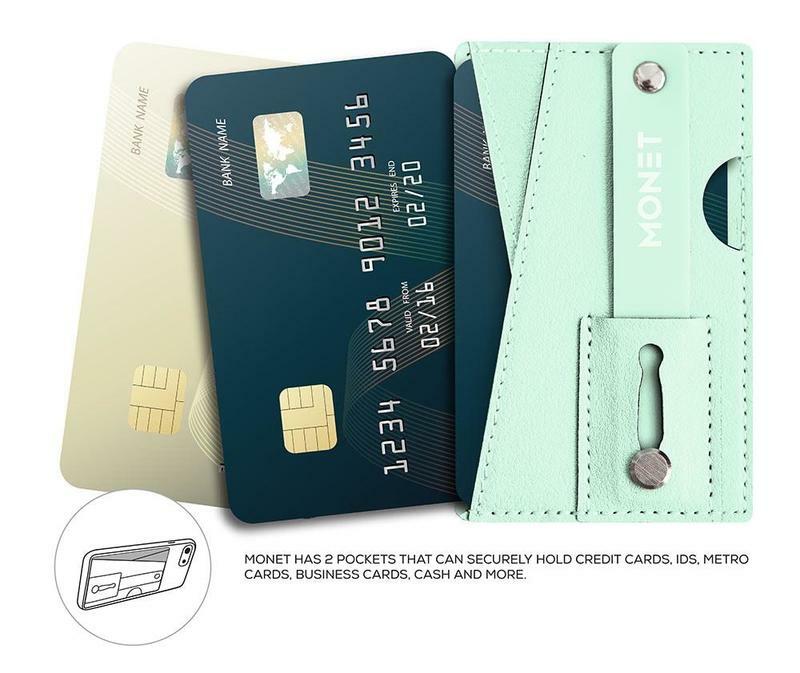 Switch to the Monet, and now you have instant access to your ID, credit or debit card, and cash. Mind you, that’s without making your phone an unpleasant, ugly brick-looking thing. 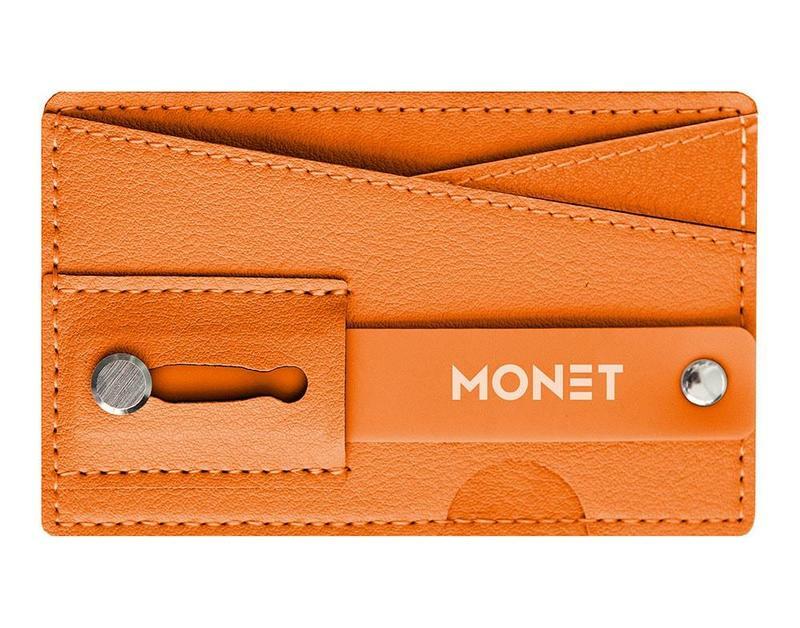 You paid a lot of money for your phone, so let the Monet keep it stylish as well.